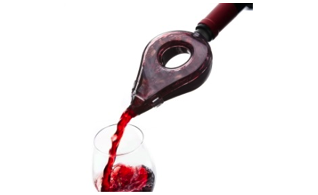 Trudeau aerating pourer fits into your bottle for a one-hand operation. No mess and features splash guard for easy cleaning. A stainless steel aerating wine decanting funnel with stand included a strainer and drip catcher. 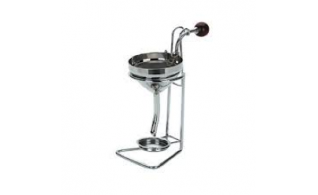 A stainless steel aerator with 3 piece decanter set including a strainer and drop catch. 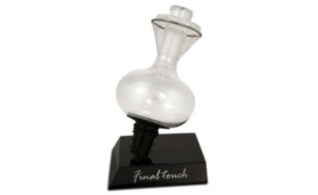 Joie wine aerator aerates your wine while you serve, comes with a stand. 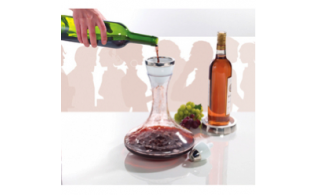 Porcelain & Stainless Steel Aerator with wine decanting accessories such as coaster and stopper. 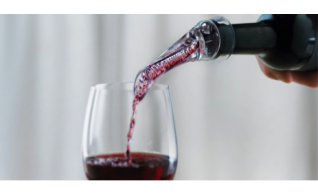 The Vacu Vin Wine Aerator adds a new dimension to wine drinking. 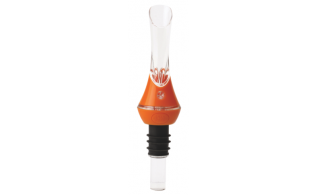 This design slows down the wine flow into the glass, allowing it to take up extra oxygen, so enriching the taste of the wine.